The Coles-branded range will be expanded by 1.8 million cans. 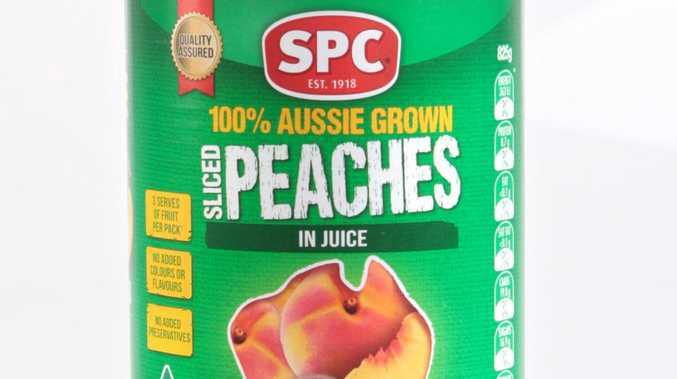 COLES has struck a deal with embattled canned fruit company SPC that will expand its supermarket-branded range by 1.8 million cans. 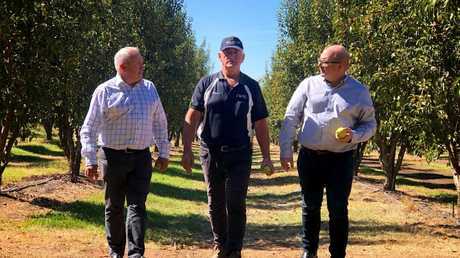 The supermarket giant will partner with the supplier based in the Goulburn Valley to produce a new range of locally farmed peaches, pears and apricots. Head of Coles Brand Mark Field said the chain was proud to be expanding its range of Australian-grown fruit. "We know our customers want top quality food, and equally they want to know that they are helping to support Australian farmers and Australian jobs," he said in a statement. The Shepparton based company had recently had its value slashed from $147m to nothing. The deal is a "great boost" for the struggling brand which recently had its value slashed from $147 million to zero dollars by owners Coca-Cola Amatil, SPC managing director Reg Weine said. "It is great to see Coles continue to support local businesses and growers," he said. "The Coles brand volume will improve our factory utilisation and will also provide our growers with an additional outlet for their quality fruit." Local grower John Paulos said the deal with Coles would help with the anxiety of the local industry in Shepparton. "Each peach tree represents a seven-year commitment until they're producing fruit, and it's even longer for pears - you plant pears for your heirs - so to have a commitment from Coles for this fruit makes life so much easier," he said. "It takes a while to get a tree cropping and there's not really any fresh market demand for the fruit, as these varieties are especially grown for canning. "So, to be able to maintain these trees and not have to think about replanting new varieties is very important to us." Coles will boost its supply from SPC, with an extra 1.8 million cans. In February, soft drink giant Coca-Cola Amatil said several interested parties had toured the manufacturing facilities in Victoria's Shepparton. 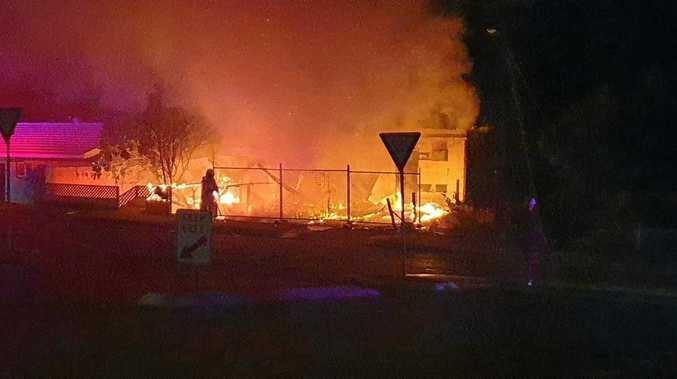 But CCA said the inherent uncertainty of the sale had meant the company had slashed the value of the once iconic SPC from $147 million before tax to zero for the 2018 year. Mr Weine said this was triggered by the "size and structure" of the range of offers. "While accounting standards necessitate this impairment, it does not reflect SPC's market value or the offers received and doesn't indicate any change to SPC's publicly reported outcomes," he said. "We see a positive future for SPC as a market leader in processed fruit and vegetables. "The sale process is about unlocking this future value." A $100 million co-investment over the last four years from CCA and the Victorian Government kept the cannery's doors open and modernised the manufacturing site. Mr Weine said the company had received several local and international non-binding offers but refused to reveal who a potential buyer may be. "Parties in this process clearly recognise the value in SPC's iconic brands, the strategic location of our manufacturing assets in the heart of the Goulburn Valley, and our proximity to fast growing export markets like China," he said. 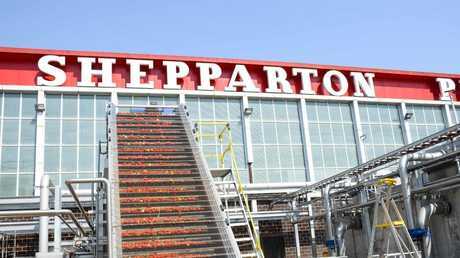 "It also reflects the significant transformation of SPC's Shepparton manufacturing site and the state-of-the-art processing and packaging capability that is available to potential buyers of SPC. "The overall level of interest is recognition of the inherent value of Australian agricultural assets and the iconic nature of SPC and its market leading brands."